It’s early morning on Chesapeake Bay. 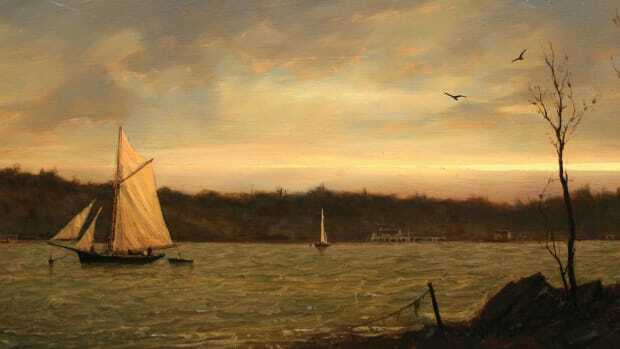 A skipjack with its mainsail up ghosts past Baltimore Light, heading out for a day’s oystering. The rest of the fleet shows dimly through the diffused morning sun. 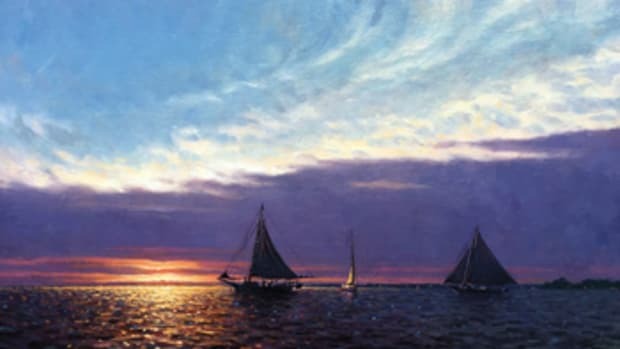 David Turnbaugh’s oil painting H.M. Krentz, Sunrise Rendezvous at Baltimore Light reveals the beauty that can be found in the ordinary, everyday life on and around Chesapeake Bay. 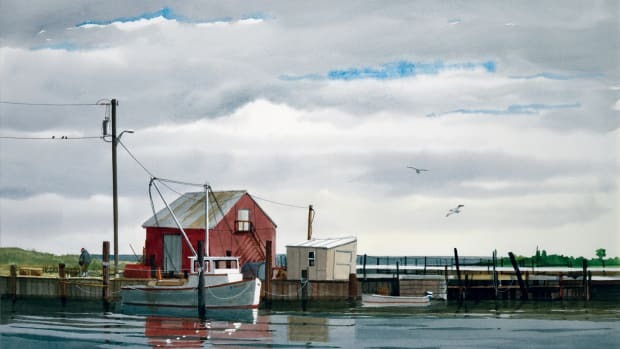 For almost a half-century, the Maryland native has painted hauntingly beautiful scenes, many showing the iconic wooden skipjacks hard at work. 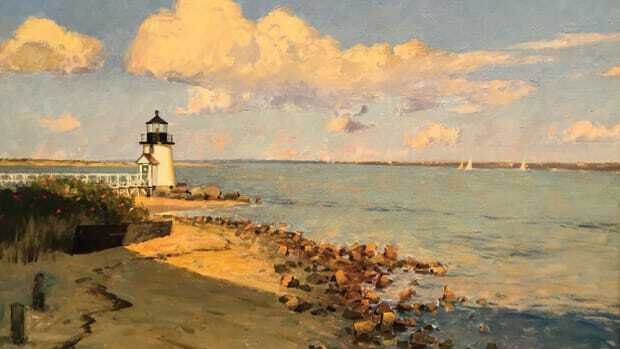 Later, studying at the Maryland Institute College of Art, he found painting was “something I really loved to do.” With his instructor, Jacques Maroger, he studied techniques and mediums of the Old Masters as he developed his own realist style. 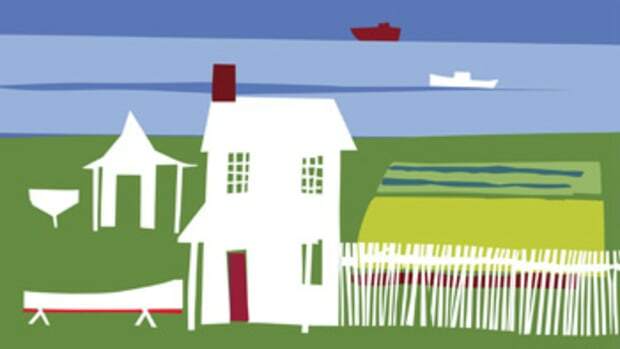 “Without Maroger, I might not be an artist at all,” Turnbaugh says. 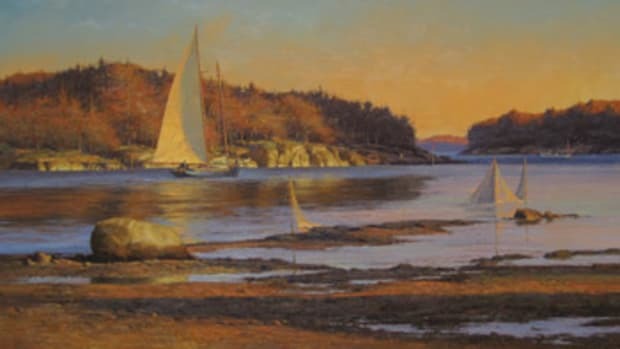 Turnbaugh also saw that the waterman’s way of life — rugged and raw but capable of great beauty — was passing away. “It was clear to me that they might not be around much longer,” he says. “There were good paintings to be done.” He became an artist full time. 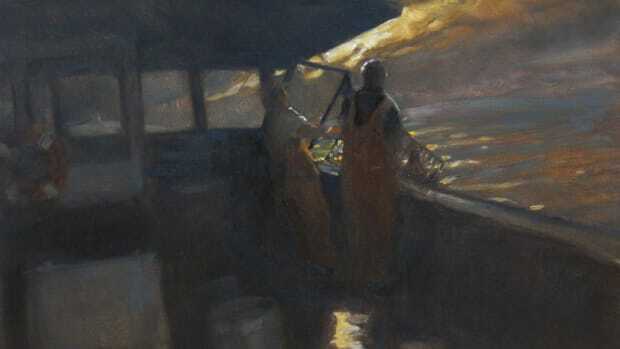 To view other works by David Turnbaugh visit the Annapolis Marine Art Gallery website at annapolismarineart.com or visit the gallery at 110 Dock St. in Annapolis, Maryland. Nantucket Harbor, Massachusetts. We’re looking across the main channel toward Brant Point Light; the Coatue Wildlife Refuge is behind and to the right of this iconic island symbol, with Wauwinet in the distance. It’s well before dawn in Maine, and 15 miles offshore, in the early morning murk, a Jonesport lobster boat is getting ready to go to work. 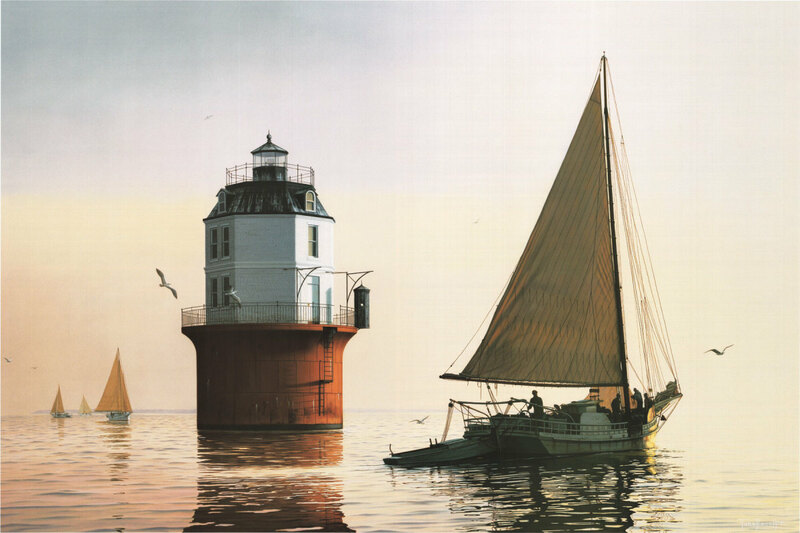 For more than 60 years, James Iams has been casting his artist’s eye around Chesapeake Bay, taking in the sights and spirit of the region’s creeks and rivers, islands and harbors, watermen and boats.